Natural light bathes reading and study areas. Enormous Chicago-style windows and restored ceilings overlook Portland’s bustling Congress Street. 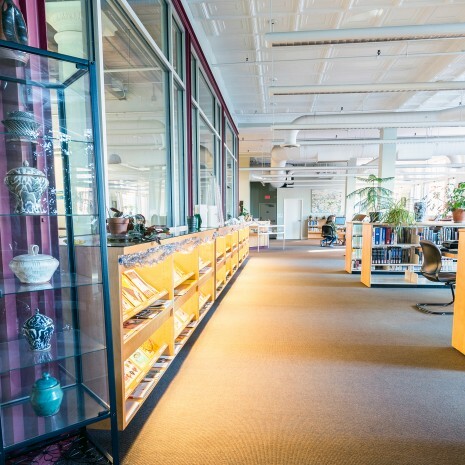 A variety of study environments accommodate different learning styles. Wireless internet access keeps you connected. 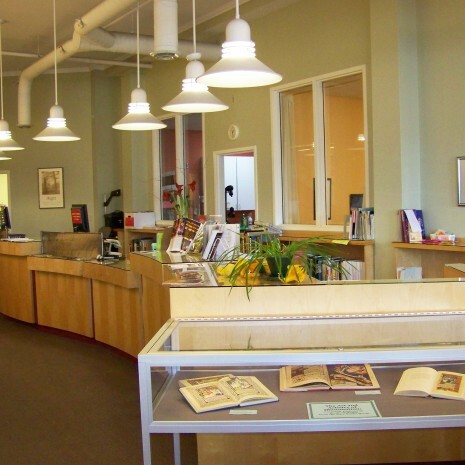 MECA’s Joanne Waxman Library is one of the largest independent libraries in Northern New England and a major resource for the region. 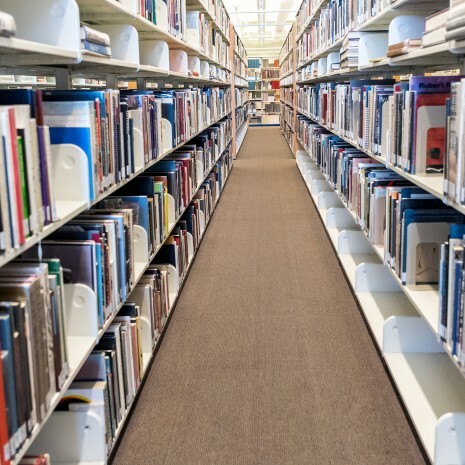 Its collections number approximately 43,000 volumes, over 100 periodicals, as well as videos and other materials. 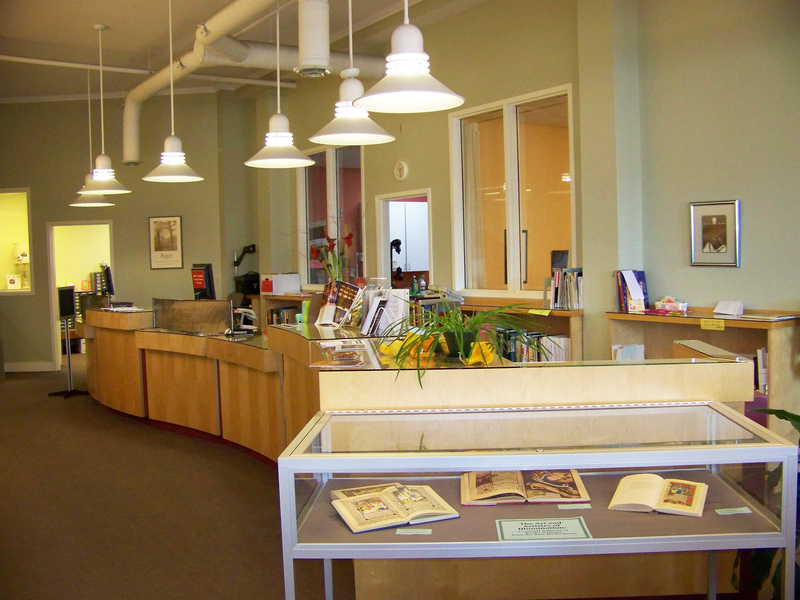 In addition, the library maintains a special collection of rare books and 19th century publications, primarily on the arts. 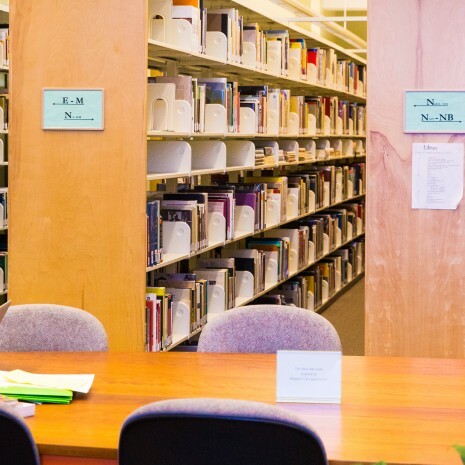 The Library provides access to a suite of online resources, which include online periodical indices and full-text databases as well as an extensive digital image collection. 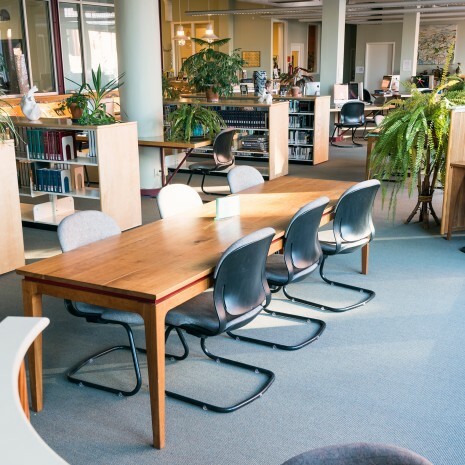 Located on the second floor of MECA’s Porteous Building, the Library’s handsome quarters feature custom-made wooden carrels and study tables designed and created by Associate Professor of Woodworking Jamie Johnston. Check this page for library hours. Members of the general public may apply for a library card for an annual fee of $50 ($25 for seniors). Contact the library at 207.775.5153 or library@meca.edu with any questions. 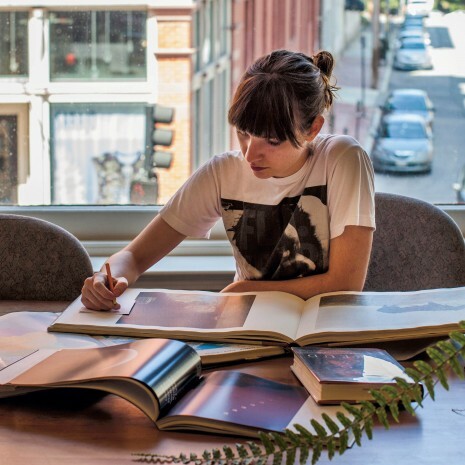 The mission of the Joanne Waxman Library is to support the educational mission of Maine College of Art by fostering excellence in library services and acquiring appropriate collections of print, electronic, audiovisual, and special collections materials that serve the College and the art community in general. 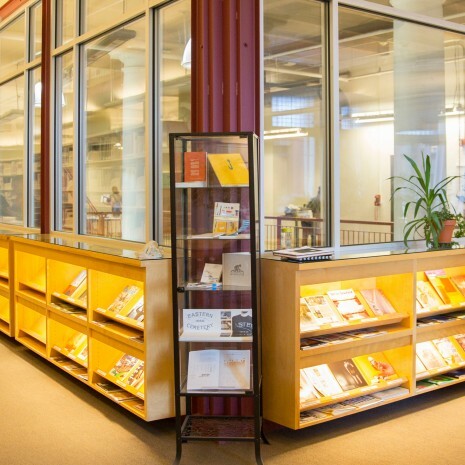 The Library aspires to promote information literacy and life-long learning in a changing information environment and to foster cooperative endeavors and resource sharing within the artistic and educational community.